Albuquerque this past year has been pretty eventful. I will say, it is an enjoyable place to live and work. Here are some highlights from last year. Balancing digital concepts and studio arts in my work. This has helped me to become more critical about the work I take on, and giving the pieces personal care. I realize this is something I need to keep intact, and comes through in the work. I said that I would start using twitter to log my progress. I have decided against multiple cryptic tweets a day about progress, in favor or continuing on my drawings, paintings, and work using the tablet, only updating via twitter when significant progress is made, with links to photos and videos of completed or near completed works. The biggest addition to my portfolio was the 4 color rebellion website, which demonstrates my abilities in quite a large capacity. Starting with the markup and css, and then moving into some performance techniques, seo, and even helped cover e3 2010 with the staff, and loved it. This year I will be optimizing and adding more ajax, for a more exciting presentation and elegant ways of working with the data on 4cr to enhance the experience. 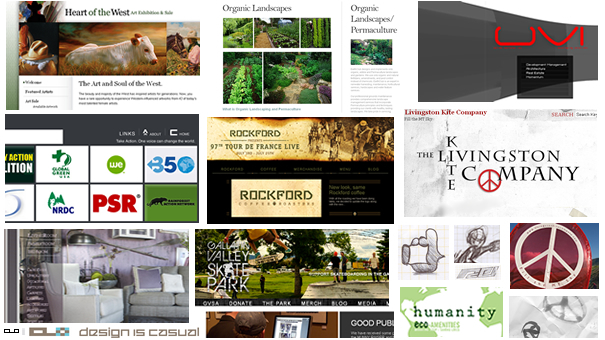 I also worked quite a bit to help my friends and family tidy up some websites, identities, that sort of thing. One of my friends started working on an eco friendly line of soaps. We created an identity and some packaging ideas for him. Another friend started a kite company in Livingston, MT, which is a cool concept, and I helped him set up a small website. I worked with RSPCT to outfit our favorite coffee shop with a new website. Then we teamed up and created a child theme for GVSA, and helped with a fundraiser auction that goes toward the development of what will be the largest skatepark in Montana. I also teamed up with faculty and staff at the University of Wyoming and Montana State University to guide and consult on projects. For MSU, working with the Extensions Office, I helped update some content, reworked some admin functionality, and am in the process of updating some forms to be more user friendly. For UW, I worked with their marketing and PR to help them with various aspects in updating a very large website, and worked to communicate University-wide strategy, and how the website would best play a part in that strategy. Although my main work machine is a decked out macbook pro running snow leopard, I upgraded my “pc” to be able to test all the way up to 64bit browsers on windows 7 pro 64bit. 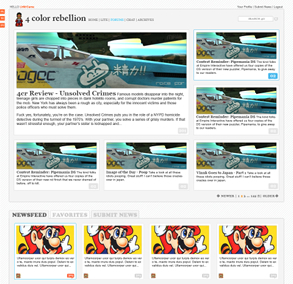 I’ve started making my own theme for wordpress 3, so I will update about that from time to time. Naturally, the theme is called casual. ios dev/experiments are coming along still, and I just downloaded the new sdk. android dev, I still have not started, but will hopefully get involved with that down the road, now that android 2.2 is out and new phones are hitting the market, I feel like I am getting more excited about android, but am still focused learning how to make stuff on ios. I have been fortunate to meet some great people in Albuquerque so far in the worlds of web, film, and art. thanks again, all my clients! design is casual is where it’s at when digital creative strategies are heating up!